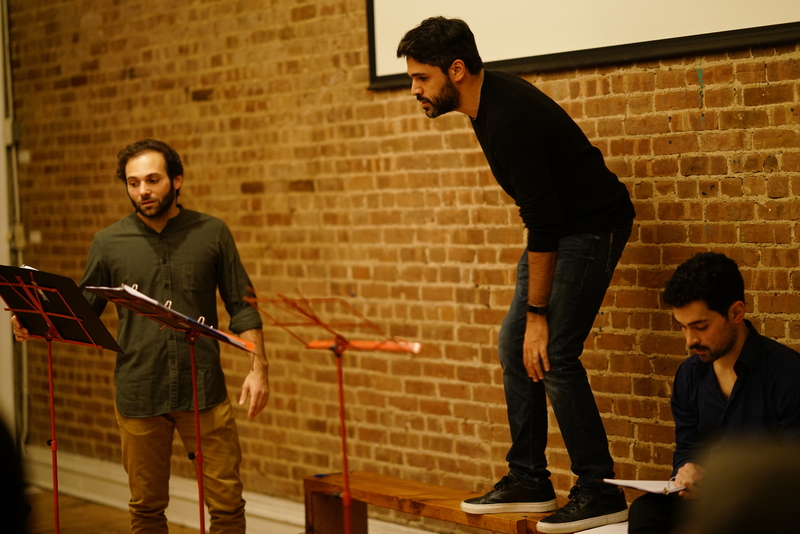 We had a fantastic convo with Egyptian playwright Adam Elsayigh! Adam came to Mark for Redaction in NY, which is where we first met him. It was so nice to get to talk with him more. 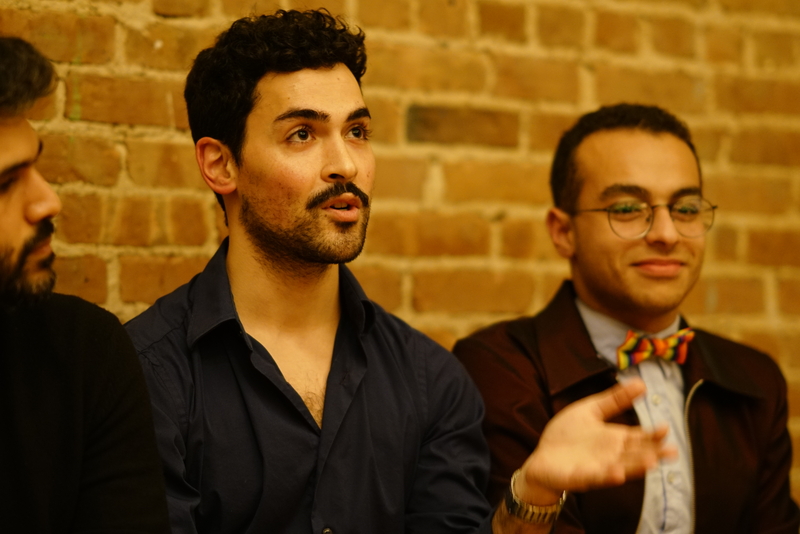 Adam has been creating plays that give voice to the issues that queer Egyptians have faced. 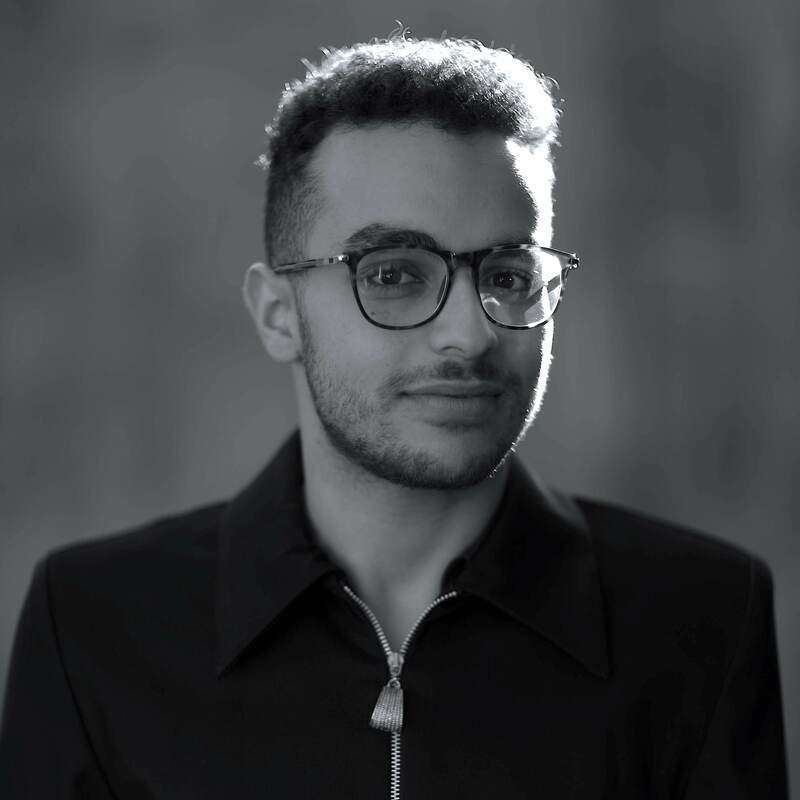 During this episode, we talked about the importance of representation of SWANA artists, about the reactions that different audiences have had to his play “Drowning in Cairo”, what elements Adam feels are vital to keep in mind when writing and presenting his plays, and much more! 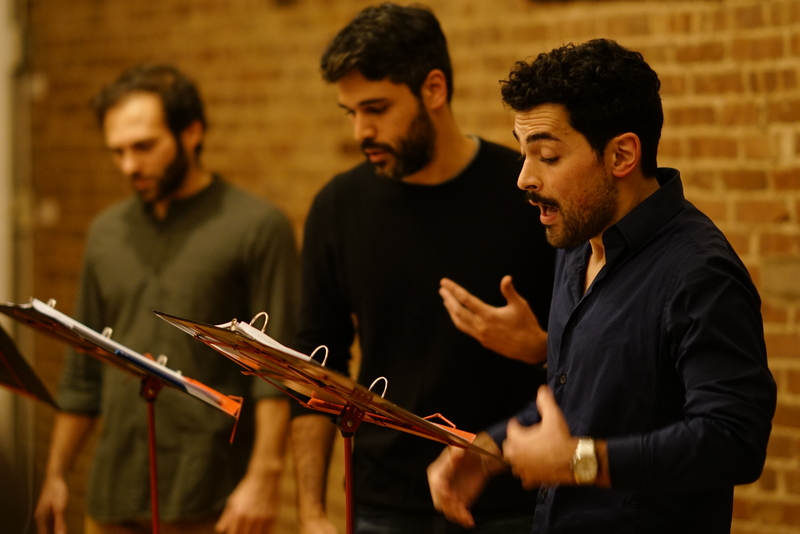 Adam, shots from the reading of his play, the Mashrou Leila concert that we mentioned during the episode, & a couple of photos of the Queen Boat incident. Egyptian security flank 52 suspected homosexual men accused of sexual immorality as they arrive at a Cairo court November 14, 2001. The court on Wednesday sentenced a man to five years in jail and 22 to up to three years on charges which included “practising sexual immorality”, a local euphemism for homosexuality, a court source said. Twenty-nine men were acquitted in the trial which has been condemned as unfair by international groups. Episode 37 in English: Mark for Redaction! This episode was recorded during the weekend we went to NYC for Mark for Redaction at Flux Factory. 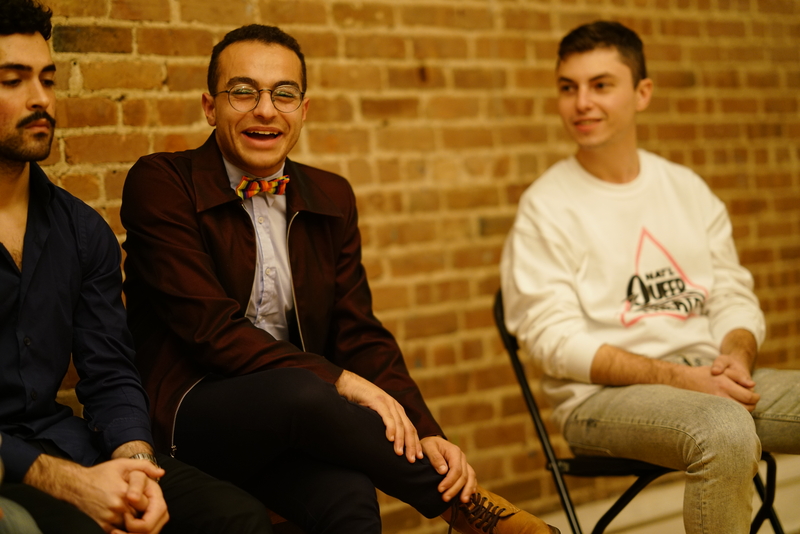 This is a queer MENA art exhibit that we got to experience. Join us for a slice of the beautiful surroundings we found ourselves in. The art brought us all together and we all felt so understood and the deepest sense of belonging. We are honored to have been part of something this profound and meaningful. Please check this event out in person if you are in NYC this weekend!